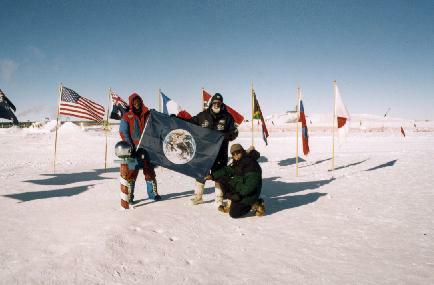 The photograph below shows a party at the South Pole with John McConnell's Earth Flag. May this flag fly in many places as an encouragement for the Earth Trustee movement. for individuals to carry and distribute.